I doubt the Fletcher shot had anything to do with the pitch!! Nightwatchman headfit!! Nightwatchman forgot that he's not the real number four in the Notts line-up!!! Played well, though. Sound captaincy from Tom, here. I hate it when Captains over attack and just leak runs as a consequence. A good effort from all of the seamers and a GREAT one from the GREAT man. 3 for 8 from 8. Bloody awesome. One wonders whether Notts took the right decision in playing Joe Clarke in this match, in view of what was going on elsewhere. A ton and unbeaten 97 against Yorkshire, 2 and 2 here. The GREAT Matthew Jack Leach (and, as Murray Walker would always say "I use the term advisedly") is, for my money, our best bowler since the GREAT Andrew Richard Caddick. Absolute peach to do for Mullaney - with very good work from SD. Edited 1 time(s). Last edit at 13/04/2019 14:11 by AGod. Oh, Marcus - what a GREAT day!! Excellent catch. Another superb piece of bowling. 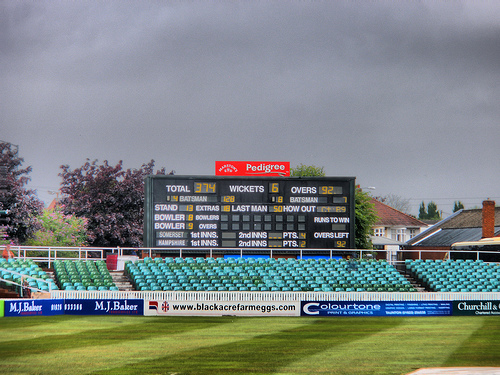 Jack far, far, too good for Notts. One of our best performances for many years, IMO!! We own Notts at the moment. Seven straight wins, most by overwhelming margins. But whereas a couple of those were end of season affairs vs a Notts outfit that had given up, I don't see that as the case here. To win the CC you need to have batsmen who make the bowlers bowl them out, and bowlers who apply consistent pressure. We have the second of those things but we have too seldom had the first... BUT that George / Tom stand was the epitome of denying hope to the opposition and giving them nothing..........if IF IF IF IF IF IF .. that Bartlett/Abell stand is a sign of increased batting steel and things to come on that front? 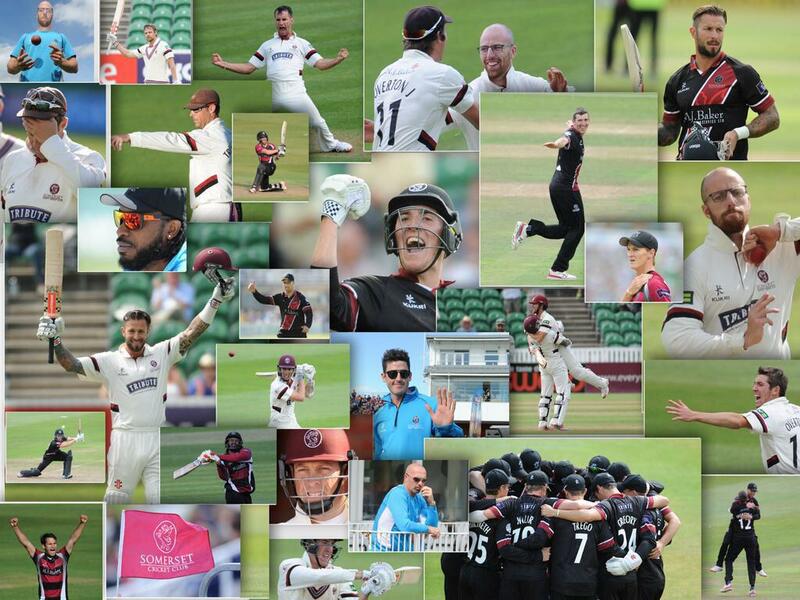 Two words- Jack Leach ! 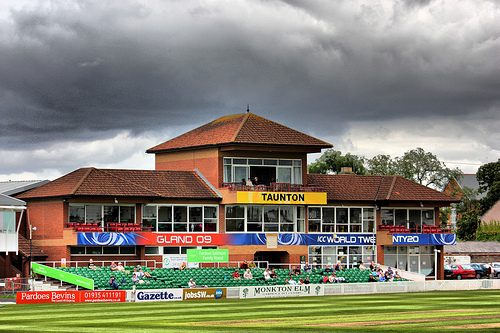 Early days yet, but Somerset`s recent `failure` to bring in any new batters, heavily criticised here by the usual suspects, is rather in contrast with the Notts policy of waving their cheque book and poaching left right and centre from other Midlands counties. (dropped on 0) in the current match; Ben Slater 24 and 34; Joe Clarke (who some say should have been our main target) 2 and 2; Zak Chappell not selected; Paul Coughlin already injured again after missing almost all 2018 for the same reason. Give me your George Bartletts, Eddie Byroms, Tom Bantons, Dom Besses, Tim Rouses any day. Leach obviously wonderful. Credit too to BrooksyFerret; he and all the wicketless bowlers were so economical, keeping the pressure on. Top man, Grizzly, is he not!? I think that, had we gone with an all-seam attack, then the Notts innings would have gone on for some time and we might well have faced a nerve-wracking run chase. But with Leachy on that kind of form, the chances of not winning the match became virtually nil. In the end, on what I thought a pretty good batting surface, there were only five scores of 50 or more in the whole match and, after our two tons the next best score on either side was only 58 (by Chris Nash, who then threw his wicket away). And for all the brilliant bowling by our guys... there's a key difference - Nash was looking really good, got to 58 and then did a typical Somerset thing and threw his wicket away. Abell and Bartlett got into the 50s and kept their noses down and ground Notts into the dust... GREAT to see. 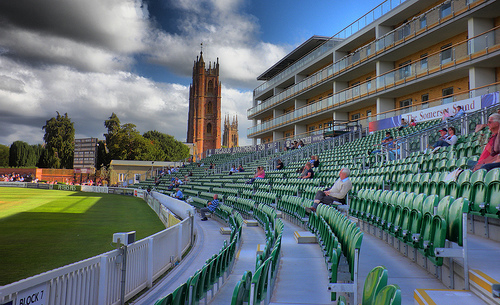 Still a bit disappointed that our top spinner only takes wickets on specially-prepared bunsens like Ciderabad and Nottingmumbai, that our seamers only take wickets on greentops like Taunton and Trent Bridge, while the likes of Hildreth and Abell are just flat-track bullies who rack up easy runs on roads served up by cheating counties like Somerset and Notts. No wonder our players aren't good enough to be regular internationals. Another encouraging facet is that we're up to played two, won two, having not yet got anything of any note at all from Azhar or Hildreth. I won't include Marcus any more on that list after today's acrobatics! 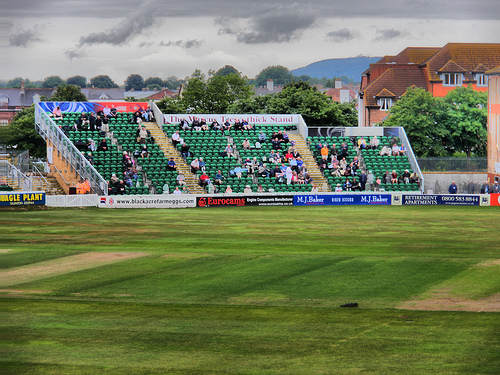 Somerset have six (SIX) bowlers in the top 20 of the CC1 averages! In the other matches I see Hampshire, the only other team to win their first match, are looking by the far the most likely to lose their current one (and, surely, stone-cold certain not to win it) - so whatever happens we will be top by at least ten points when the current round finishes. 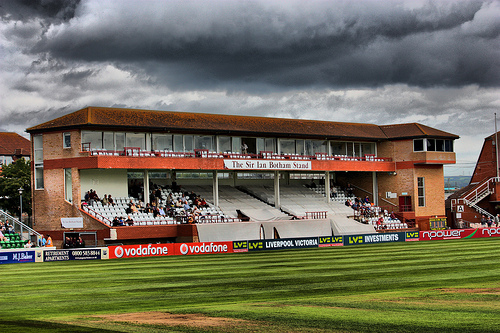 I hope I never hear again from other county supporters that Jack Leach can only take wickets on Taunton pitches!! What a great win after a shaky start. Is this the year? @Mike his six-for at that famed Bunsen Headingley didn't stop them so I doubt this performance will! Not so sure about that - Hants need another 107 to avoid the follow-on against Yorks and if they fail to do so will have to bat out all of tomorrow (though tail-end batsmen being what they are now, and with Barker at 10, making the 107 seems a lot less unlikely than it once would); and Warwickshire have (eventually) been made to follow on against Kent and have lost one wicket already. Btw as my XI won can I now claim the credit? ...oh, and well said CJM in your post of 15.10 about our young home-grown, or at least home-trained, players. I see that Liam Dawson, having bowled as many as 60 overs, then made 50 odd with the bat. Some sort of ‘iron man,’ award for him may be in order.. I see that Liam Dawson, having bowled as many as 60 overs, then made 50 odd with the bat. Some sort of ‘iron man’ award for him may be in order. I'd settle for a tube of Ralgex and a large leisurely drink. Just saw my beloved Bath Rugby beaten by Glawster after we went 17-0 up. Bah! Get back to the hotel and fire up cricinfo - OH YES! That's eased my disappointment!! Six for Jack. Huzzah! Edited 1 time(s). Last edit at 13/04/2019 20:12 by sfwithers.